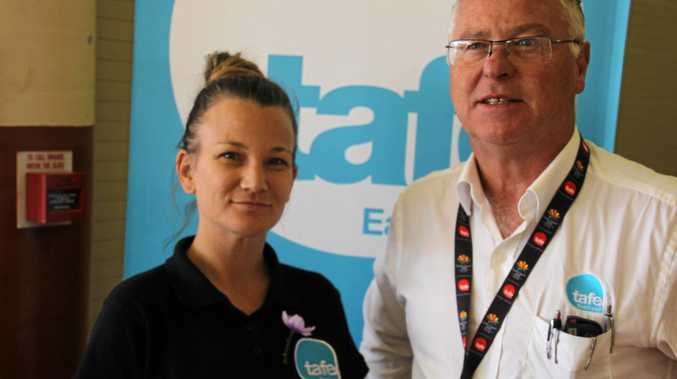 East Coast Tafe career advisors Renee Galvin and Mark Haas at the expo. GYMPIE students, school leavers and jobseekers got the chance to explore their options at the Gympie Regional Careers Expo today. More than 60 businesses, government and training organisations and tertiary study institutions had displays at the pavilion for the free event, run by the Gympie Regional Council. School students of all ages also attended the event at different times to plan for their future.